Dr. Bahar is a Distinguished Professor, the John K. Vries Chair, and the Founding Chair in the Department of Computational and Systems Biology at the University of Pittsburgh’s School of Medicine. 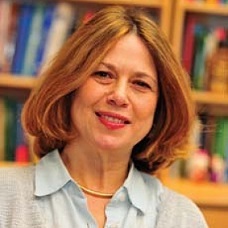 Dr. Bahar holds several other affiliations, including Director/Principal Investigator of three NIH-funded Centers, NIGMS Biomedical Technology and Research Center on Multiscale Modeling of Biological Systems (MMBioS), NIDA Center for Computational Drug Abuse Center (CDAR), and BD2K Center for Causal Modeling. She is an Associate Director at the University of Pittsburgh Drug Discovery Institute; the Founder and Executive Committee Member of Carnegie Mellon University/Pitt PhD Program in Computational Biology. Dr. Bahar is also an affiliated faculty member of the McGowan Institute for Regenerative Medicine.